At Marks Motorcycle Parts we're pleased that we've recently become distributors for The Shock Factory. 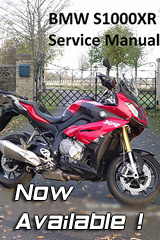 We can do shocks for pretty much any bike, single or monoshock and if you have a telelever BMW, then we can do front shocks for those too. Monoshock / Twin shock / single adjustable / double adjustable / ride height adjuster / built longer or shorter than standard / custom springs are all possible, and to simplify things the prices are the same for all bikes, £350 for single adjustable and £450 for double adjustable including delivery. There are fitment lists on my website but the range is growing all the time so if you don't see your bike listed then please get in touch.